On July 30th, 1984 the world was introduced to one of the most imaginative and enchanting stories ever brought to the big screen. Based on the German novel Die Unendliche Geschichte, written by Michael Ende, The Neverending Story has spanned decades, delighting both children and adults all over the world. 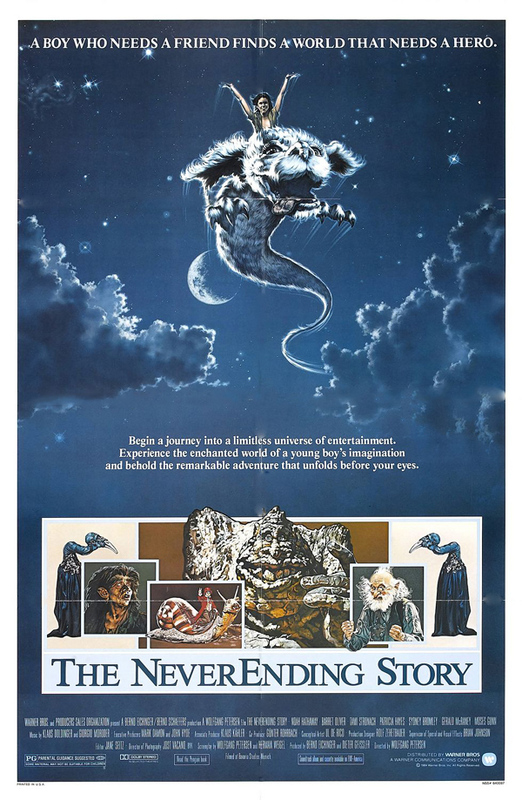 Brought to life by director Wolfgang Petersen, who took a chance on the film as his first English language effort, The NeverEnding Story did amazingly well, grossing over 100 million dollars worldwide. Featuring a colorful cast of characters, unforgettable soundtrack music – which included the theme sang by Limahi of new wave band Kajagoogoo – the film has branded it’s imagery on audiences and is now celebrating its 30th anniversary. The NeverEnding Story begins with a troubled young boy named Bastian (Barret Oliver) enduring some of the same issues so many young children can relate to; losing a family member, dealing with bullies, and suppressed emotions. Bastian’s love for reading and his vibrant imagination bring him to a local bookstore where he stumbles upon a quirky book entitled The Neverending Story. The tale within introduces him to the extraordinary and enchanted land of Fantasia. Ruled by a child-like empress, Fantasia is beginning to collapse because of the force known as “the Nothing.” The princess calls on Atreyu (Noah Hathaway), the strongest warrior in the land, to find a human boy to help save their home. To do that, Atreyu must travel outside of Fantasia. With each page he turns, Bastian realizes that Atreyu and the princess are seeking him! Throughout their journey, Bastian and Ateyu interact with characters that will make viewers laugh, wince and cry. Wolfgang Petersen found a way to evoke emotion from all ends of the spectrum in this timeless childhood classic. As Bastian is guided into Fantasia, Petersen takes audiences on an unforgettable journey through the child’s imagination. Although the film grossed over $100 million worldwide it received mixed reviews from critics. Roger Ebert stated that “an entire new world has been created” because of the film and its visual effects. Contradicting Ebert’s sentiments, original author Michael Ende said he was unimpressed with Petersen’s choice to cut characters and shorten the film and fumed that even the title of the story was underwhelmed by the director’s choice to expose only the first half of Ende’s book. Petersen noted that in order to appeal to a broader, more international audience he decided to only recreate part of the story. 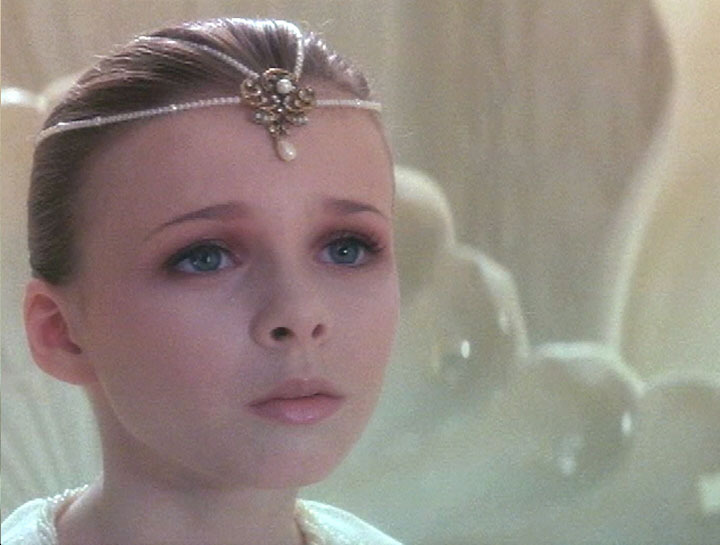 Nonetheless, by narrowing the character list and plot, Petersen’s version of The NeverEnding Story keeps audiences entranced from start to finish. The 1980’s were filled with dark fantasies; The Dark Crystal (1982), Return to Oz (1985), and Labyrinth (1986) all similarly focus on exquisitely imaginative lands and wide-eyed children venturing into the unknown. 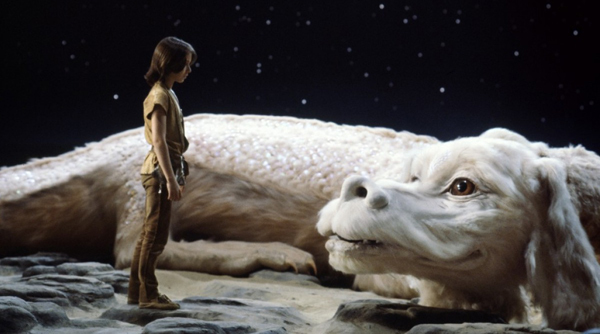 Likewise, The NeverEnding Story brought to life the same endearing qualities, unleashing childrens’ desires for adventure and adults’ nostalgia towards the simpler life of fantasy and fairy tales. Contrary to recent cinema, Wolfgang Petersen relied on primitive “blue screen” technology to bring his characters to life. Hundreds of puppeteers and mimes helped create these lovable roles. Matching up the voices to the puppets was said to be one of the most difficult tasks during filming. And it seems that the slight imperfections in timing are some of the most endearing flaws. Bringing viewers back to a time before technology replaced make-believe, Petersen’s film created a magical, emotional connection to each of the characters. Every unique persona brought to life in the film was crafted using hand-made puppets, sometimes operated by a crew of 25 people! Without the help of new age CGI technology, the puppets gave the actors an actual cohort to interact with during filming. 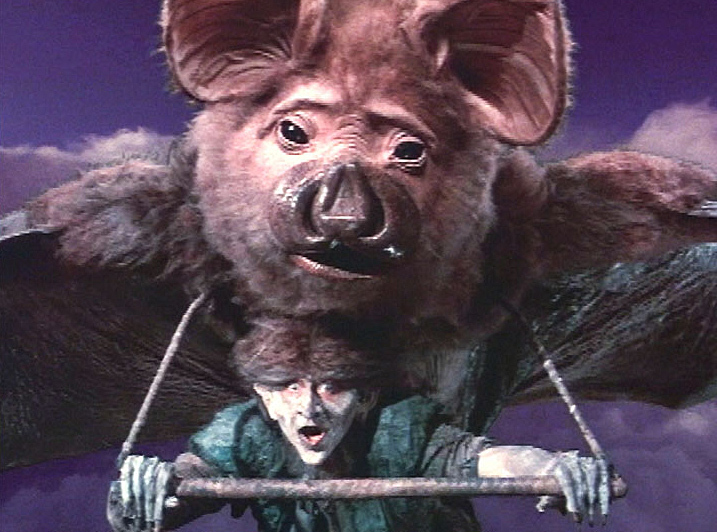 Rather than imagining their costars, the child actors in the film actually rode on giant “flying” dragons and mingled with whimsical creatures. In the current age of advanced cinematic technology, all children should have the experience of watching this film, allowing them to unleash a different part of their imagination. 1980’s fantasies led to a different type of family film; one that abandons the solely happy-go-lucky story and allows a somewhat darker side of childrens’ imaginations to be exposed. Petersen noted that he wanted neither a Disney style movie nor did he want it to be too dark. His goal was to appeal to a wide range of families all across the world. Judging by the lasting impact of the film it is evident this styling worked dramatically well. 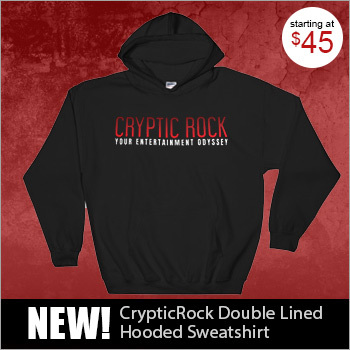 In fact, the film’s influence on pop culture spans much further than many may realize, inspiring the name of metal band Atreyu as well as countless other bands which have made reference to the film in their songs. 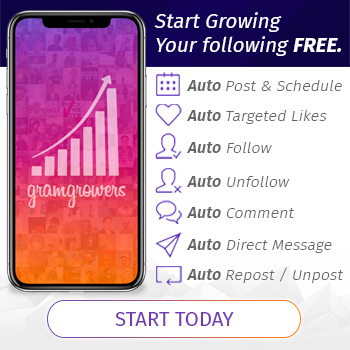 Whether one grew up watching the film or were introduced twenty or even thirty years after its production, The NeverEnding Story has aged gracefully and will continue to delight audiences for years to come. Allow yourself to get lost in a world of wonder just one more time. 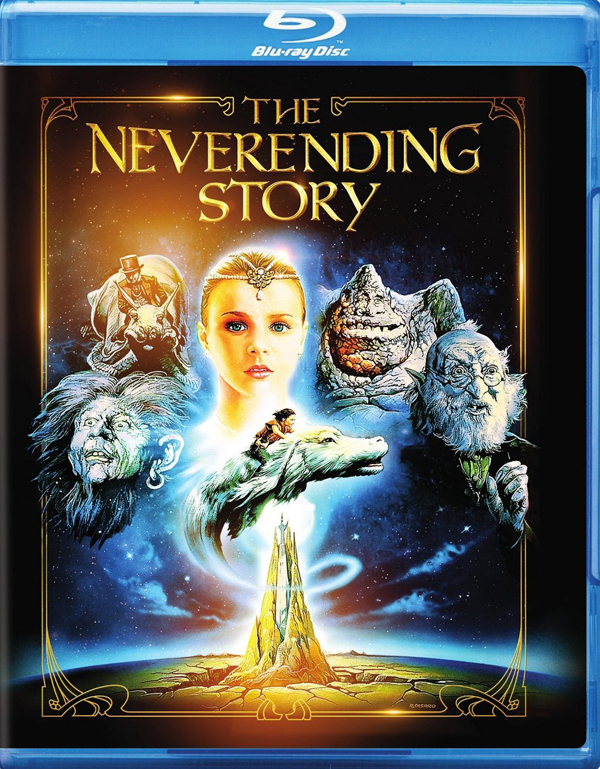 The 30th anniversary Blu-ray edition of The NeverEnding Story is out October 7th.